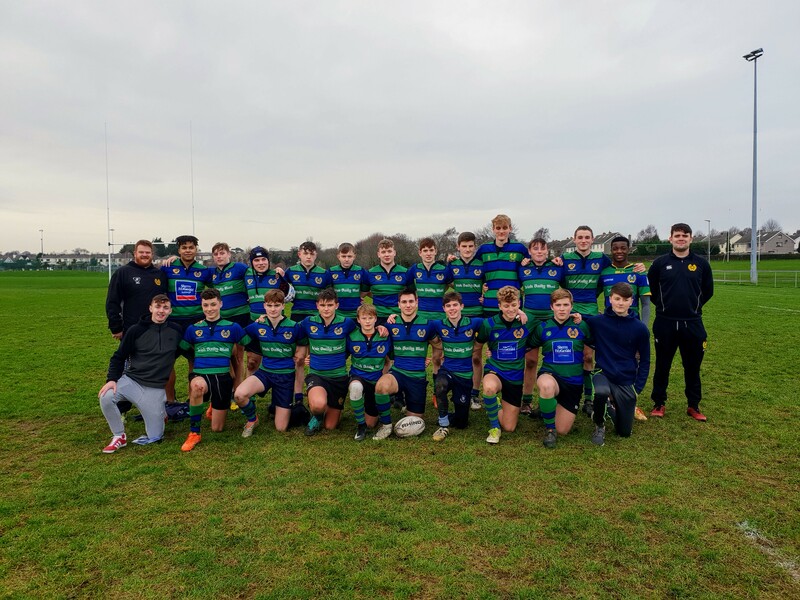 Seapoint U-17s came crashing down from their high of beating local rivals Greystones last week when they were beaten convincingly by their local neighbours and rivals DLSP. There were a lot of good performances from Seapoint, and in particular the Seapoint forwards more than held their own, however a slow start, poor defence and a succession of silly errors in the first 20 minutes resulted in Seapoint trailing by 19 points. Very little went right for Seapoint in that first 20 minutes, they failed to deal with the kick off and were under pressure from the start despite having the advantage of a gentle breeze in their backs. Poor defensive commitment resulted in DLSP crossing for their first try only 5 minutes in and shortly afterwards a poor clearance kick directly to the opposing backline on the 22 resulted in Seapoint conceding a second. At this stage Seapoint started to knuckle down to the task in hand, the forwards starting to win possession and make some hard yards, however a sloppy pass resulted in an intercept on the half way line and they found themselves once again under their own posts and looking at a 19 point deficit. Scores were even from that point on. DLSP grabbed another try in the first half and then Seapoint finally got off the mark when some good sustained pressure resulted in a try from John Ascough with Manning failing to convert a difficult effort from the touchline. The half time score was 26 points to 5. In the second half Seapoint played much better rugby which however did not prevent DLSP scoring another two tries. Sean Downing capped off a fine match performance with a superb individual try to leave the final score with DLSP running out as clear winners by 40 points to 12. Thomas O'Shea had an excellent game for Seapoint, initially at full back and then moving to centre. Paul Jones was lively and always looked dangerous in attack. The entire forward pack played well and never shirked from their task, scrummaged well and were dominant in the lineout. The man of the match performance for Seapoint goes to Sean Downing who gave everything he had, had a 100% record throwing into the lineout, won all his own scrums and even took one ball against the head with a brillant strike, but mostly for his energy and never say die attitude around the pitch resulting in him scoring the second Seapoint try. Well done Sean. Next week we host Clontarf at home which is always a tough fixture and Seapoint will need a much improved performance.